-Guyton- Mrs. Sigrid “Sigi” Bazemore,82, passed away Tuesday, April 2, 2019, at Candler Hospital in Savannah, Georgia. Mrs. Bazemore was born in Kassel, Germany on May 8, 1936 to Arthur and Lucie Pabst. After meeting her loving Airman, Cordell, they moved to the states where she worked as a beautician for 30 years owning her own hair salon for the last 10 years. 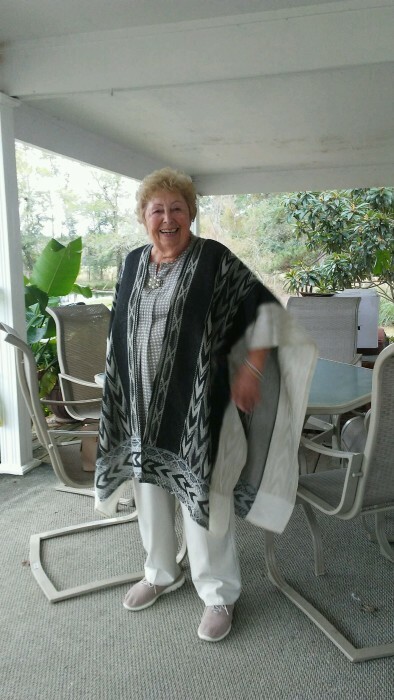 Sigrid was an outgoing and super sweet woman who enjoyed traveling the world and trying new foods, spending time with her family, and swimming in her pool. Loving on her four legged babies, Baby Girl, Buggie, and Lucky, also brought much joy to her life. She is preceded in death by her loving husband of 60 years, Cordell Bazemore; parents, Arthur and Lucie Pabst; and sister, Bergit Pabst. Survivors include: her sons, Cordell A. Bazemore(Joette) and Sam Bazemore(Lisa); daughters, Ingrid Williams and Zigi Nickle; brothers, Werner Pabst (Karin) and Herbet Pabst (Renate); and 9 grandchildren and 8 great grandchildren. Visitation will be held at Riggs Funeral Home on Tuesday, April 9, 2019 from 5 – 6PM with services to follow at 6PM in the chapel of the funeral home.